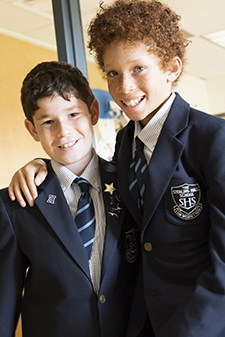 At The Sterling Hall School, we are committed to educating boys to be leaders in their chosen pursuits at school, within their communities and as citizens of the world. There are many opportunities for boys to play a leadership role here at SHS, both formally and informally. Informal leadership opportunities include initiating after-school clubs, participating in community service, and leading during experiential learning excursions and day trips. Mentorship at SHS provides an opportunity for boys at various grade levels to experience leadership with younger boys. Formalized leadership positions for all grades include the role of class representative on the Student Council. 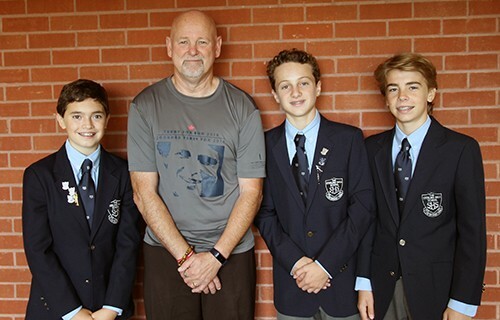 As well, every Grade 8 boy assumes a formal leadership role, such as Head Boy, Prefect, House Captain or Ambassador. In each of these positions, boys apply their creativity and ambition to take their jobs as far as they wish. The Student Council includes boys at every level, from JK to Grade 8, and provides representation for every boy at the school. It is a student-run committee that sets goals and objectives for the school year, promotes school spirit, organizes and implements community service activities, and allows SHS students to have a voice in planning events, clubs, and initiatives. Participation in the Student Council teaches boys important leadership skills. They learn how to plan a large project, how to work as part of a group, and how to lead a team. They also learn that, by becoming involved in larger issues, they can indeed make a difference. 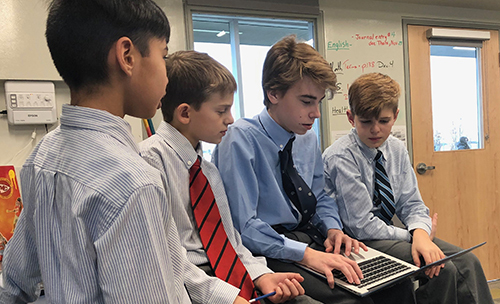 The Student Council is led by the Head Boy, with the support of Prefects from Grade 8, one representative from each class in JK-Grade 7 and two faculty advisors. Student Council representatives for each grade are elected by their classmates in September (representatives from JK and SK are chosen by the teachers). Each elected student works with his class to decide on initiatives for community service and school events. Student Council members meet regularly with faculty advisors.